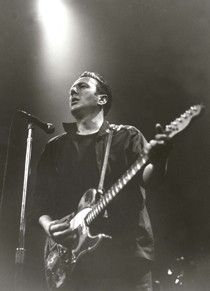 1952 Joe Strummer is born in Ankara, Turkey. The lead singer of punk icons The Clash may not have been born here - few great Londoners ever are - but his band became synonymous with the capital after a series of legendary gigs (including London’s ‘best ever’, according to TimeOut). Many of their songs name-check London, including White Man in Hammersmith Palais, Guns of Brixton and, of course, London Calling - the dystopian anthem of a broken city, and the lazy but usual option for TV producers soundtracking any item about London (normally fading after the first line, to avoid awkwardly placed war reference). We love an eccentric petition. Here‘s one for you. Mr Eddie Skyrme (84) has gathered the names of 250 people opposed to some new metal benches in St Mary Cray (near Orpington). A pain in the buttocks, apparently: "You can only sit on them for a couple of minutes and when you get off your bottom looks like a noughts and crosses game.". How does he know? It’s Carnival time again. Next weekend, head over to Strummer’s manor to watch thousands of happy, decorated people bounce up and down in time to steel drums.